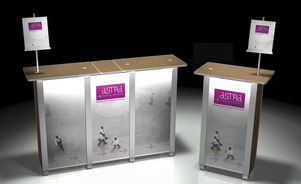 Our tables and counters are designed to provide you with the functional workspace and easily-accessible storage areas. 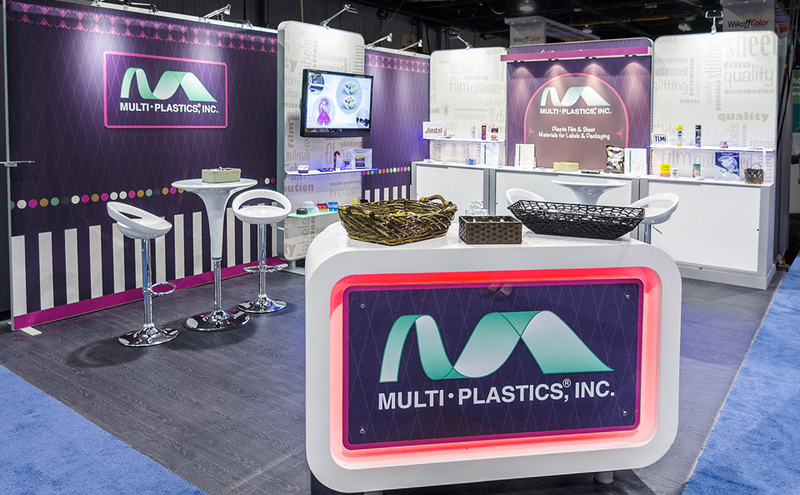 Good exhibit design not only attracts and connects with attendees, but functions to a high level for your staffers making it easy to engage, interact, take leads or make sales. 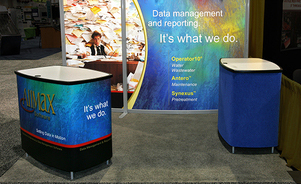 Skyline modular exhibits are structural to support necessary components like product shelving, flat screens and computers. 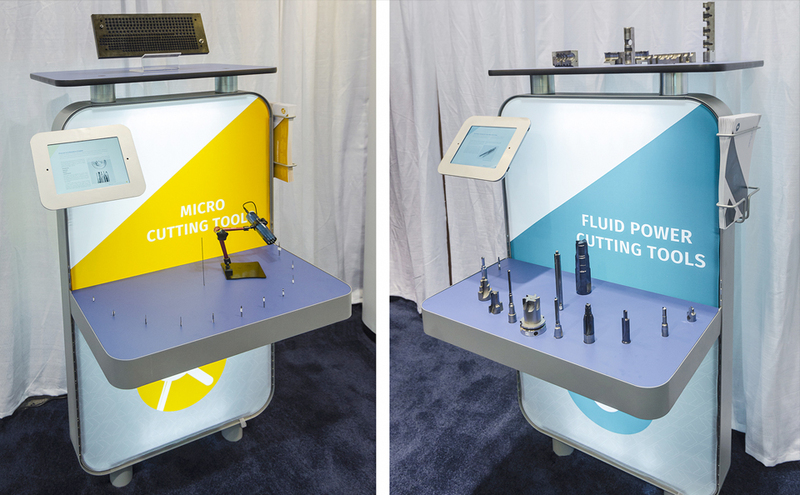 Counters and workstations add functionality to your exhibit and are customizable with graphics that bring your brand front and center. Graphics are easily changed. Reception near the aisle can be important. 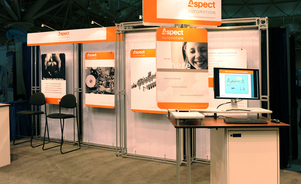 Counters provide a place to engage and sell while keeping giveaways and literature out of sight, but within reach. 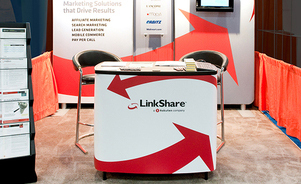 Consider a secure lead management system. 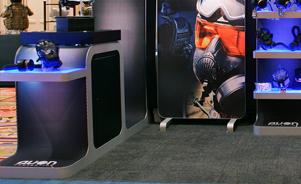 In addition to its family of workstation systems, Skyline has full in-house wood and metal shops capable of creating custom tables, counters, workstations and more. 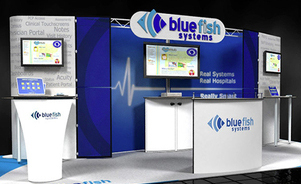 Why rent an ordinary show contractor exhibit? 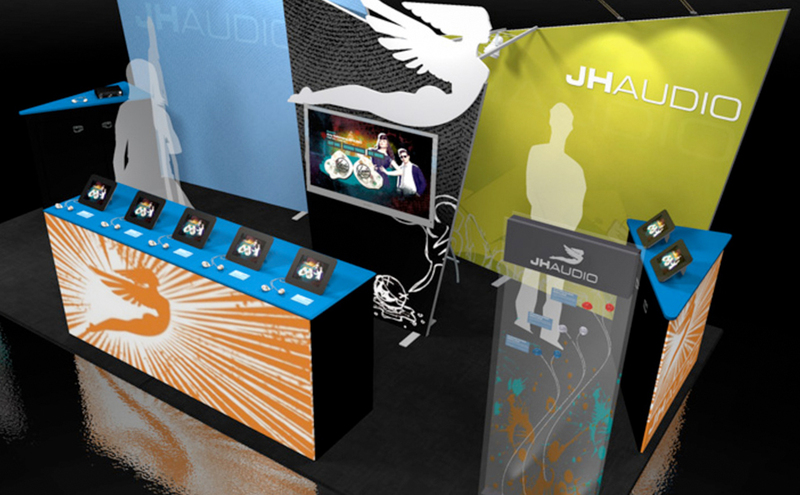 Instead, can get an exhibit from Skyline designed to fit your specific brand and objectives. 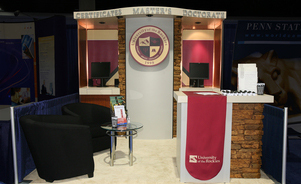 With Skyline, you can rent any exhibit and counter design imaginable. Designed for style and purpose. 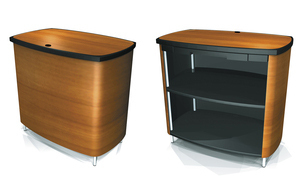 Envoy built-in counters bring function to your exhibit with lockable storage space and work surfaces. 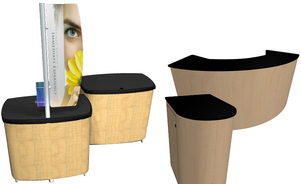 Features laminate counter tops and graphic doors. 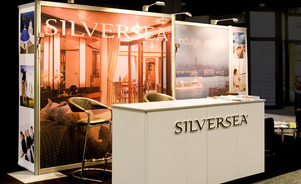 With many panel shapes and sizes, hundreds of finishes, a universal connection system and true compatibility with all other Skyline systems, you can achieve any look and ultimate functionality. Stratus sets up in minutes without tools. It is lightweight and packs small to reduce costs, yet it is very sturdy supporting up to 100 lbs. (45 kg). 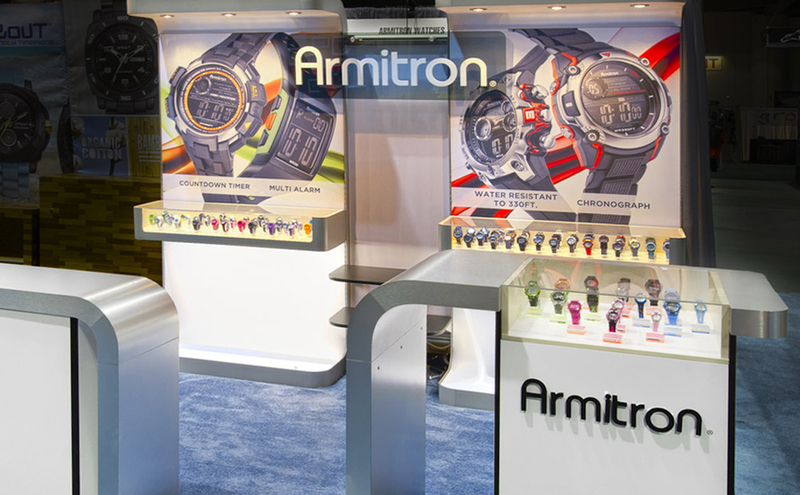 Multiple accessories are available to fit your specific needs. 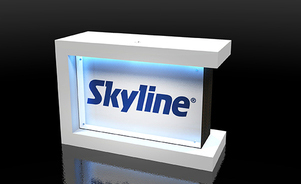 All of Skyline’s standard counters and storage systems are available for rent. 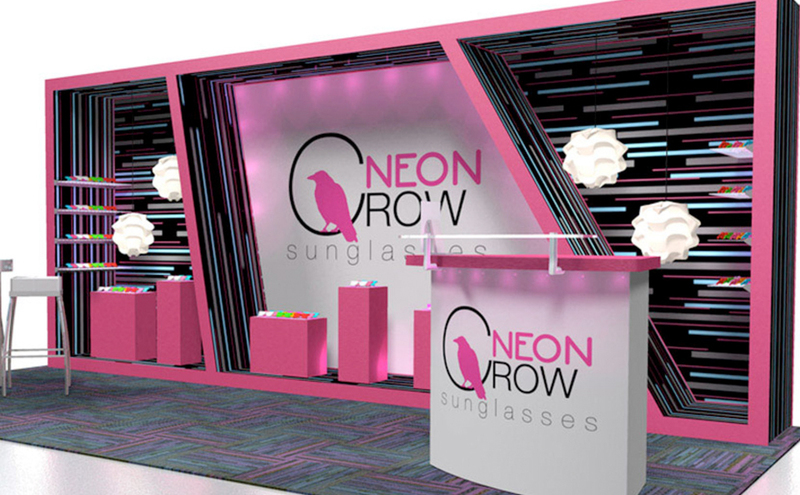 We also have customizable rental counters and tables that will make your exhibit look like it was especially crafted for your brand. 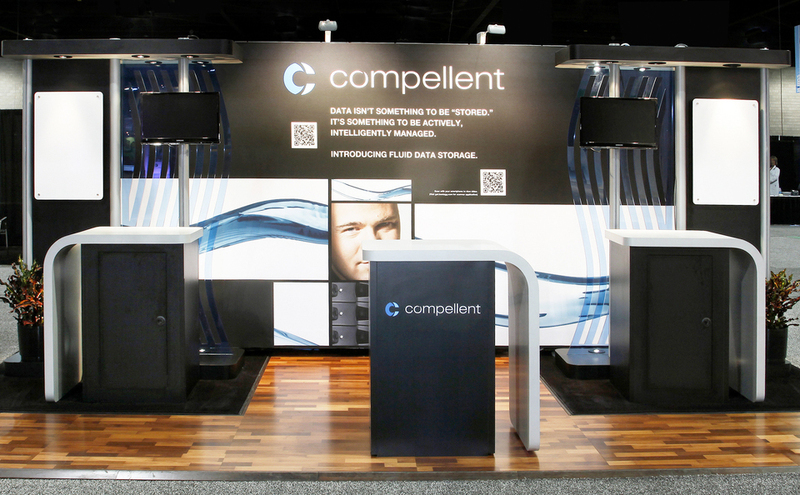 Designed for elegance and engineered for performance, Occasions gives your brand a powerful presence and provides the functionality needed for effective face-to-face marketing.